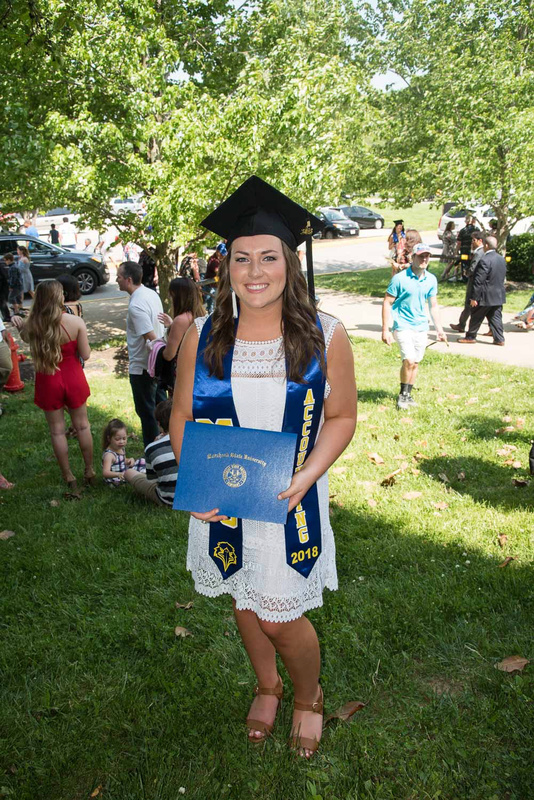 This past weekend my sister graduated from college! 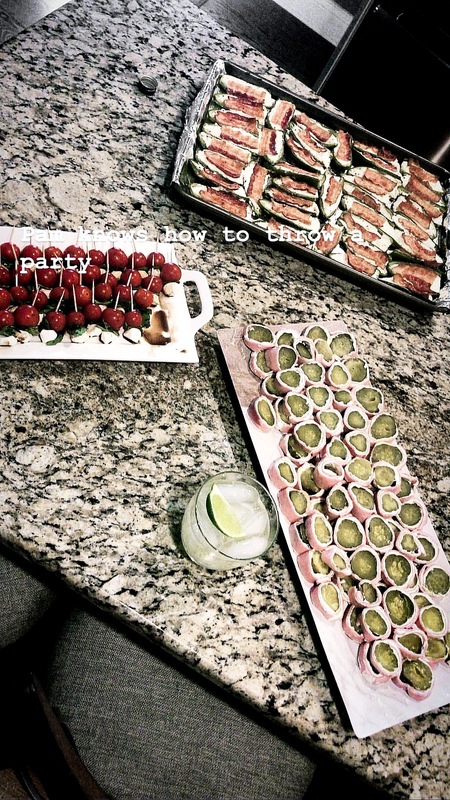 We celebrated after with a cookout and cocktails! I don’t have a ton of photos from the party (a fail on my part) but I did still want to share some of the details with you all. 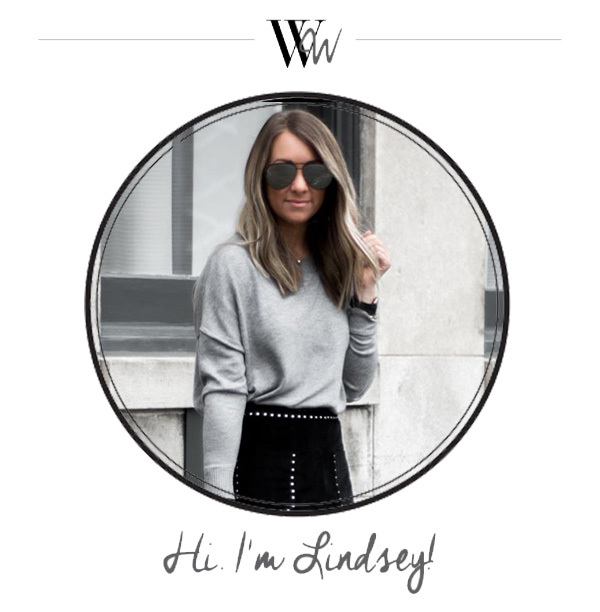 I hope you can pull some inspo from here if you are throwing a get-together soon! We set up a table in my mom’s entry way with some goodies to make the party more festive. 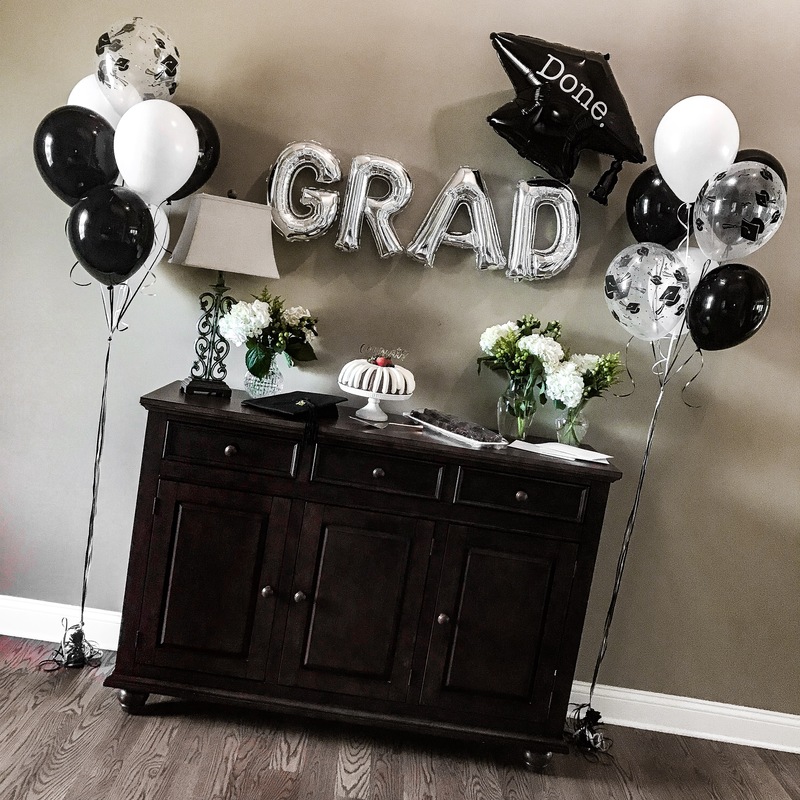 She ordered this set of graduation balloons and when they went to have them blown up at Kroger on the morning of the party they also got some extra black and white ones to add to the bundles. We found these mini letter balloons at a party store. You can just blow them up with a straw (they are self sealing) and then add a small piece of tape to the back and stick on the wall. (We removed the photos she had hung above the entry way table to make space.) This method makes for an easy photo op backdrop that does not move around. We got the flowers from Trader Joe’s and arranged them in vases and then the cake was ordered from Nothing Bundt Cakes. We got lemon and it was so yummy! 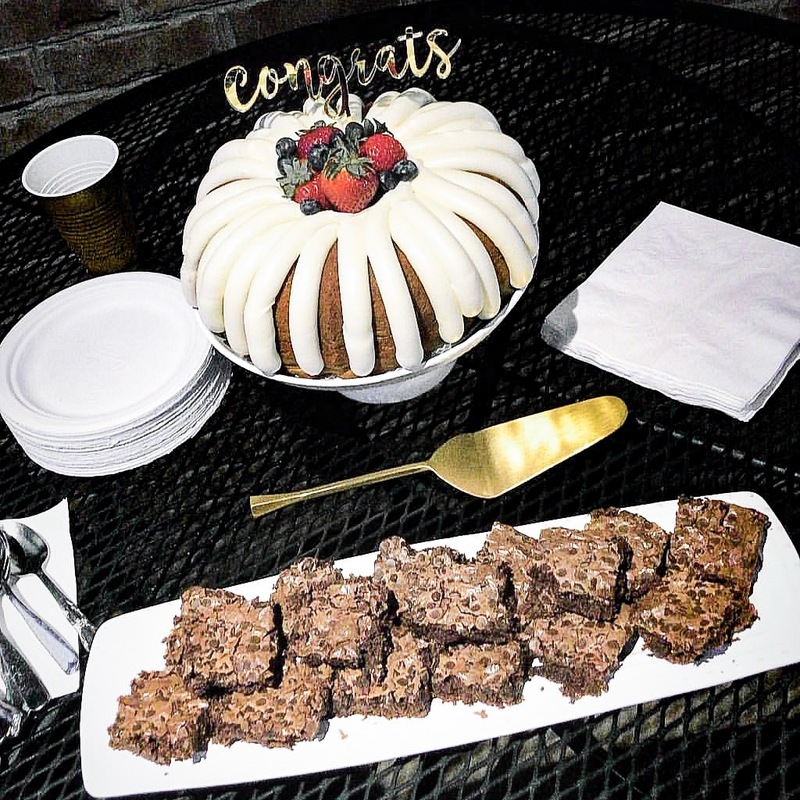 We added a congrats cake topper to it and filled the middle hole of the cake with strawberries and blueberries. Pickle Ham Wraps–Strange but SO good! Dry off deli ham slice and spread a layer of cream cheese on it. Roll a large dill pickle up in it and slice thinly. 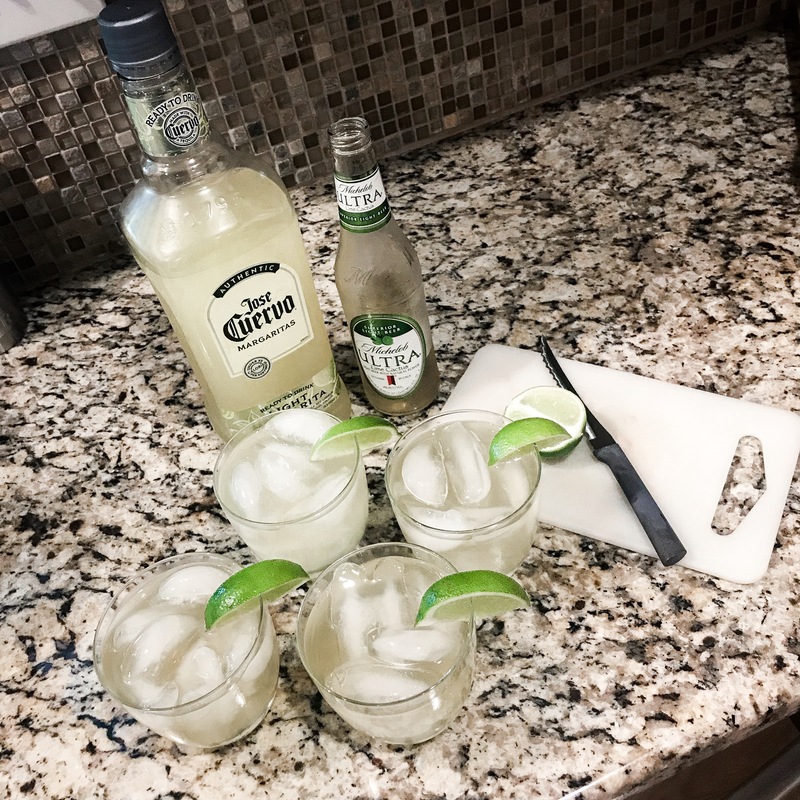 My mom usually makes fresh margs with a lemon, lime, water and tequila but it’s a bit time consuming so one of our current easy faves is to use this light marg mix and top with some lime beer. That helps make the drink less syrup-y. We serve them over ice! I had one of these before I switched to rosé and it was super refreshing.